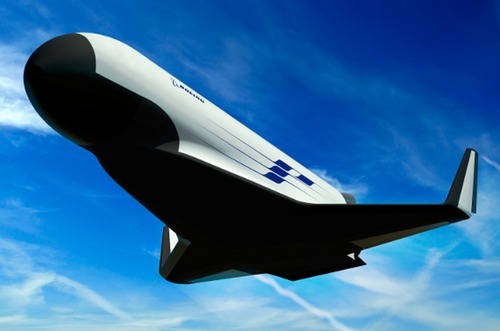 The Defense Advanced Research Projects Agency (DARPA) announced Tuesday it has awarded study contracts to three teams, representing a mix of established and entrepreneurial space companies, to study concepts for a reusable suborbital spaceplane. DARPA said it awarded contracts to three teams: Boeing, working with Blue Origin; Masten Space Systems, working with XCOR Aerospace; and Northrop Grumman, working with Virgin Galactic. The contracts, for phase one of the Experimental Spaceplane 1 (XS-1) program, cover initial design work on concepts for the vehicle, designed to serve as a reusable lower stage of a low-cost launch system for medium-sized satellites. The DARPA statement did not reveal the size of the contracts. However, DARPA has earlier announced, though a Federal Business Opportunities posting, a contract award to Masten valued at just under $3 million. Boeing, in its own press release about the contract, said its contract was valued at $4 million, although it wasn’t clear if that included any award to Blue Origin. Boeing also released an illustration of its XS-1 concept, a winged vehicle. “Boeing brings a combination of proven experience in developing launch systems and reusable space vehicles, along with unparalleled expertise in the development and fielding of highly operable and cost-effective transportation systems,” said Steve Johnston, director of Boeing’s Phantom Works Advanced Space Exploration division, in the Boeing release. The goal of the XS-1 program is to develop a vehicle capable of flying ten times in ten days, including at one least one flight to Mach 10. The XS-1, coupled with an expendable upper stage, would be able to launch satellites weighing up to about 2,270 kilograms into low Earth orbit for no more than $5 million a flight. The vehicle could also serve as hypersonics technology testbed. DARPA will select a company in a Phase 2 some time next year to build the XS-1.